Check your local frost date and don’t be in a rush to plant too early. Make certain your soil is warm enough for planting (62 and above soil temp). Planting too early in cold soil will only stress the plant and slow it's growth and development. Choose a sunny location with rich, well-drained soil (soil pH of 5.5-6.8 is preferred). More sun results in better growth and yields so choose a spot with a minimum of 8 hours of sunlight per day (12 hours or more is best). Your success is dependent largely upon your soil. Spend the time to prepare your tomato bed in advance. Loosen soil to a depth of 15-18" and be sure the area is well drained. The goal is loose, fluffy soil, so adding amendments like high quality compost, manure and planting mix will help keep soils loose and workable. Raised beds are beneficial and provide good drainage. You can use untreated wood, straw bales or concrete blocks to make raised garden beds. Be careful not to crowd your plants! Spacing plants 36" apart gives ample room for growth and getting sunlight. Plant seedlings deeply for best root formation. Roots will form along the entire portion of the stem that is buried, so this will benefit the plant’s growth and nutrient uptake. Add organic compost liberally to the planting area and add a small amount of balanced fertilizer to the planting hole. Espoma Tomato-tone, Neptune's Harvest Tomato & Veg Formula, Neptune's Harvest Fish & Seaweed Fertilizer, Fox Farm Grow Big Liquid Plant Food, Happy Frog Tomato & Vegetable Fertilizer. Be patient while your plants grow, flower and begin to fruit. You may wish to prune the lower most branches. Watch for signs for insects or disease. There are many great internet resources for identifying diseases and we always recommend organic control measures for fungal diseases or insect control. ~ Try to keep foliage dry whenever possible. ~Do not overcrowd plants; thereby providing adequate air circulation. ~ Don't work in your garden when plants are wet from dew or rain. Working when foliage is wet can spread disease pathogens. 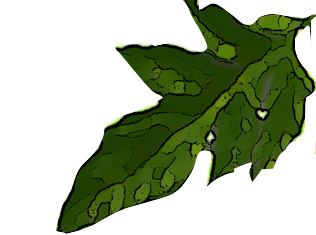 ~ Pinch off leaves with signs of disease immediately upon discovery and remove them far from the garden area. Keep your tomato seedlings inside with ample light until temperatures are warm enough (65-70 degrees) to set them outside for brief periods of time while they get accustomed to the elements. You will want to provide wind shelter for the young stems and leaves. Most importantly, introduce them slowly to direct sunlight, as the tender leaves may sunburn. It is best to set them outside in the shade for a day or two. From there, over several days you can introduce them to partial shade and then direct sunlight. After a few days, they can be left in direct sun for an hour or two. Gradually allow longer periods of full sun exposure (I typically harden my seedlings over an 8-10 day period). If the nights are 50 degrees or warmer, the seedlings can be left outside. If temps are cooler, I recommend bringing them inside. 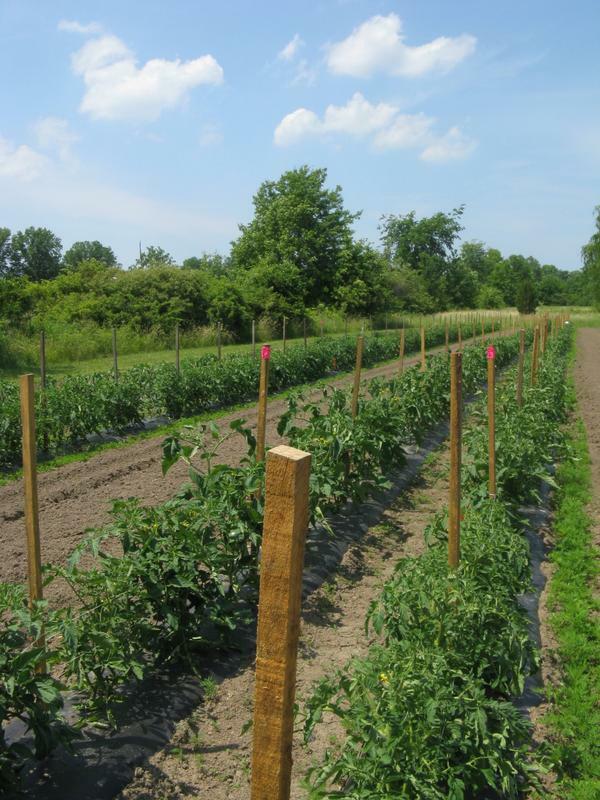 The ideal soil temperature for planting the seedlings is 62 degrees or higher. If you are planning to plant your tomatoes in CONTAINERS, read more . Click here for more on N-P-K and plant growth basics.